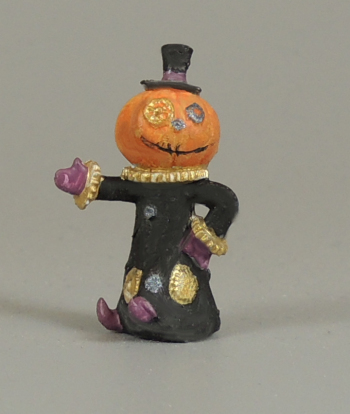 I love this cool little steam punk pumpkin head. Lots of gears everywhere, but I love his gown and slippers the most, He comes in two sizes, 1 1/4" x 1" tall. Use menu above to select size. Highly defined resin 3d print.